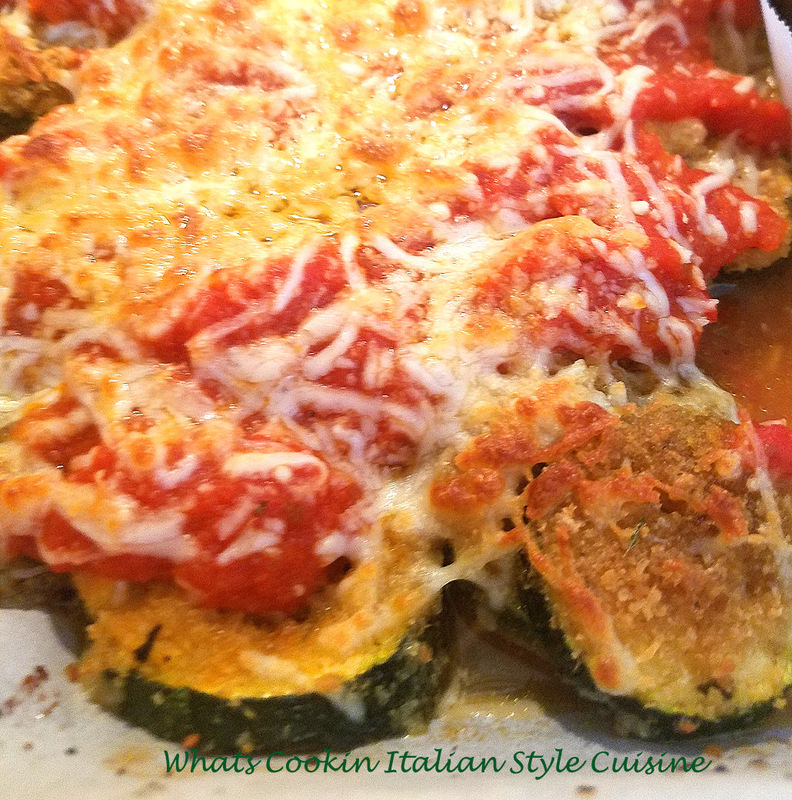 This quick baked zucchini and yellow squash parmigano recipe is delicious in so many ways! You can eat it as a side dish, in a sandwich or just as it is for a lunch with a salad! It all bakes together and delicious. Dad used to have a wonderful garden growing up so mom had many creative ways to cook zucchini. Optional: add some crushed meatballs to the sauce make a bolognese sauce click here for this dish and it's a full meal all in one! Clean ( I lightly scrape some of the seeds out of the squash) wash and slice zucchini in coins, around 1/4 inch thick. Cut the tail ends off the yellow squash and cut them lengthwise, 1/4 inch thick slices. In a aluminum throw away pan, single layer some yellow and green sliced squash, evenly sprinkle with bread crumbs, herbs, spices, mozzarella and top with sauce. drizzle with a few tablespoons of olive oil. Repeat until you have only around 1/2 inch left to the top. When your around 1/2 inch from the top, add more sauce if needed, shredded mozzarella and grating cheeses, sprinkle with herbs and spices, end with bread crumbs and drizzle more olive oil. Bake and cover with foil for around 15 minutes. Take foil off and continue to cook on 400 degrees until the fork goes through the squash easily and the mozzarella is brown, around 25 more minutes. This looks great. I love squash and this is a much healthier alternative to frying. 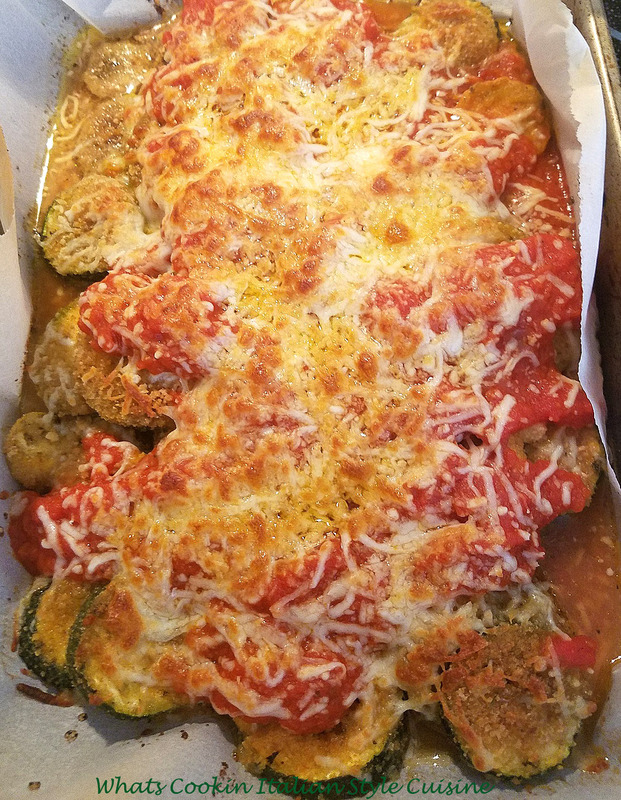 Such a comforting and delicious baked zucchini! Love the rich sauce, and all I would need would be some crusty bread, to mop up all that goodness...yumm! I fotget the brand, but there are gluten free breadcrumbs out there that would work perfectly in this for those of us with a sensitivity.